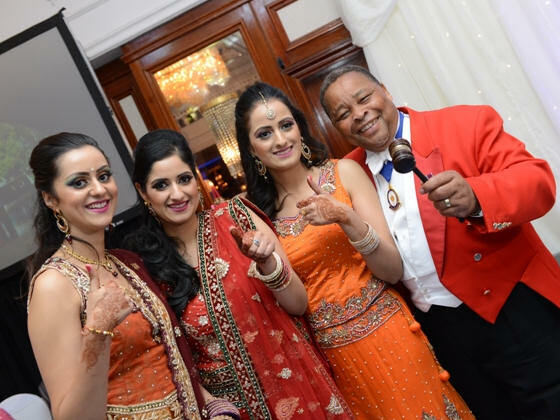 In the United Kingdom today, ethnic weddings are big and exciting events. Controlling large numbers of guests and finding large enough venues to accommodate them is becoming harder and harder. At last, Britain has a professional Toastmaster who understands and respects all the different cultures and traditions. Reuben is now hired at the Gurdvara (Sikh Temple) to assist with the welcome of the Barat and Milni’s then direct everyone to the Langar Hall for tea. He will then invite guests to the ceremony hall. Reuben will then go to the venue to await the arrival of the guests for reception drinks, grand entrance for bride and bridegroom, cutting of cake, speeches, first dance and a jolly good party! 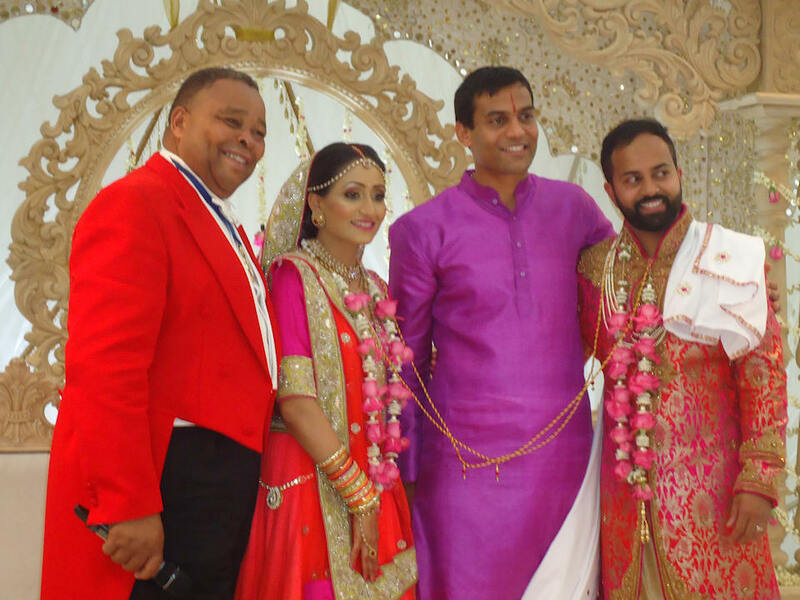 At Hindu Punjabi weddings Reuben welcomes the Barat and organises the Milni and Jamala either after Milni or in front of the Mandap. 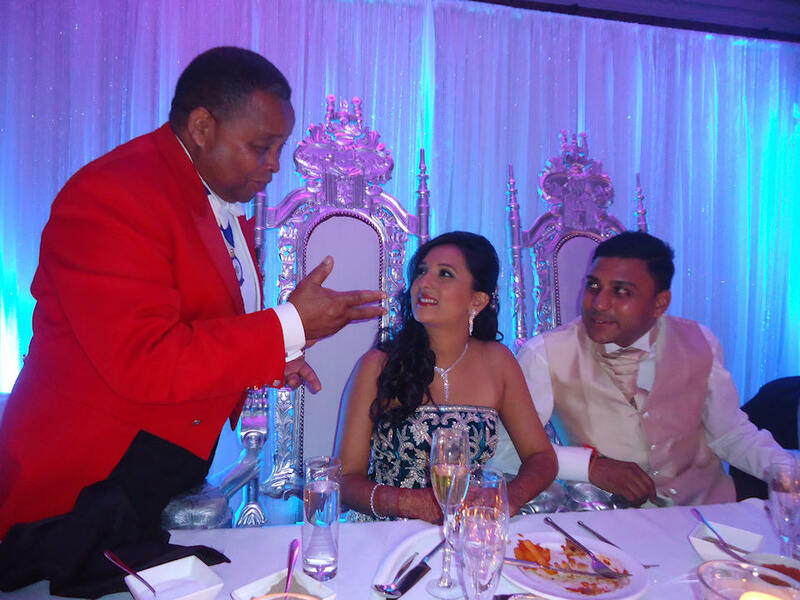 After Hindu ceremony Reuben will assist in photo calls, guide guests to the reception, announce the grand entrance of the Bride and Bridegroom, announce the speeches if any, cutting of the cake and then the first dance and party. At Hindu Gujarati weddings Reuben will assist with the arrival of the Jan, and announce the Punkwana ceremony. After the Hindu ceremony, he will announce the photo calls in the absence of the Pundit, co-ordinate the Koda Kodi and Vidi, announce the grand entrance of bride and bridegroom, speeches, cutting of cake, etc. 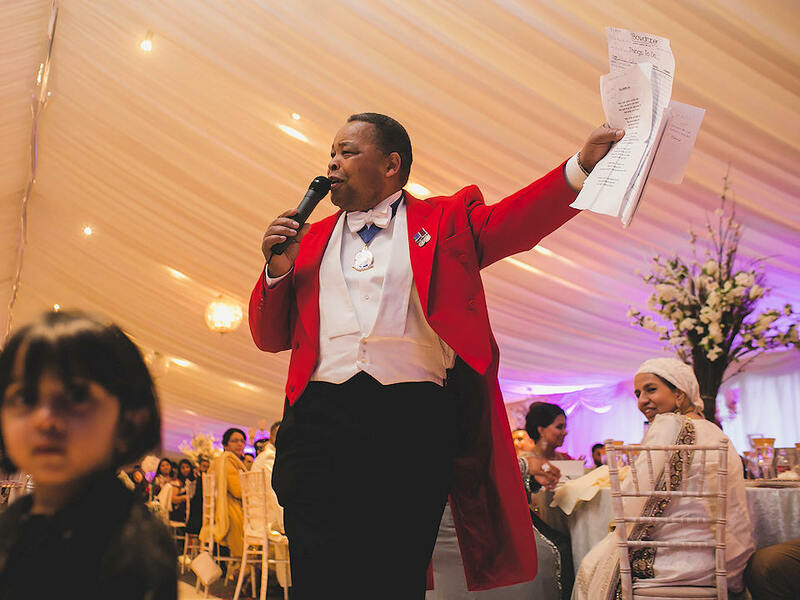 At Muslim weddings Reuben helps the Iman with the seating of guests prior to Nikar, announce Bride into the room and assists guests at the Valima. Reuben, himself, is very well respected in these communities. He can advise on the etiquette and procedures needed to make a happy and joyous occasion.